Come join us on the "F/V Wendy Kay" a 35' fully equipped vessel that will make your time on the water comfortable and safe. This is a great experience for young children as well as adults. We specialize in a hands on trip that lets you be a part of harvesting some of North Carolina's most valued seafood. 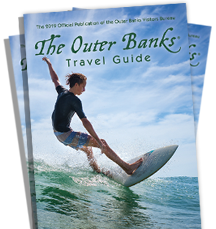 Make this a part of your Outer Banks vacation. See a wide variety of marine life. Awesome sunrises and sunsets. June - October.